The dishes of this menu are available always. 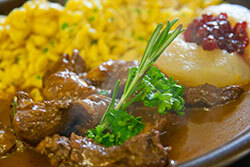 From soup to our famous pork roast and desserts. 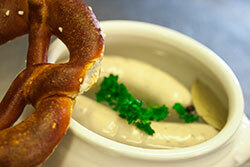 Perfect snacks to enjoy in our traditional beer garden or for the small hunger between meals. 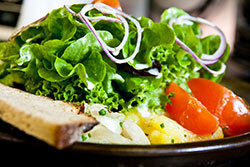 Fresh salads, healthy vegetarian meals and food your children will love.